As a departure from the expected size of a twin bed, the Vining Collection provides an ample amount of sleep space within a defined area. 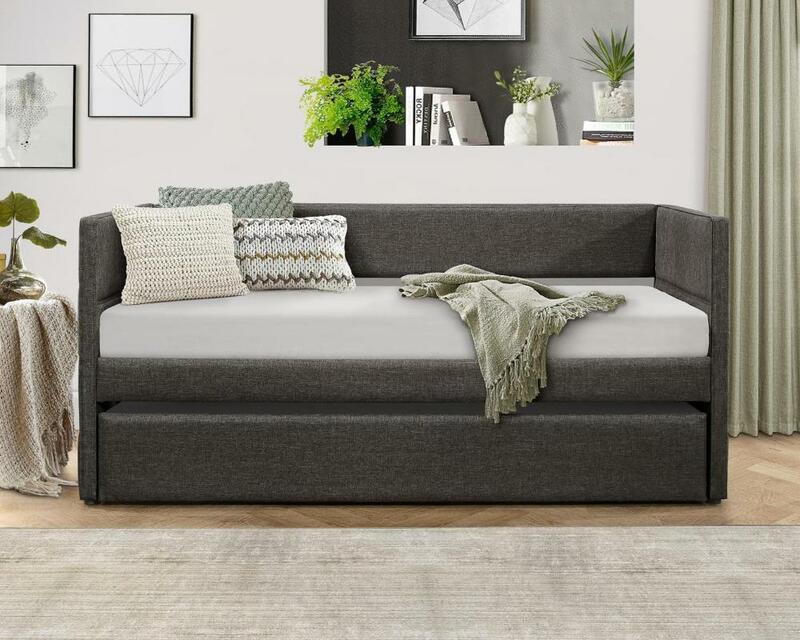 From transitional to contemporary, the unfettered design of the daybed allows for placement in a number of home environments. The daybed is upholstered in a dark grey fabric, furthering the stylistic versatility. 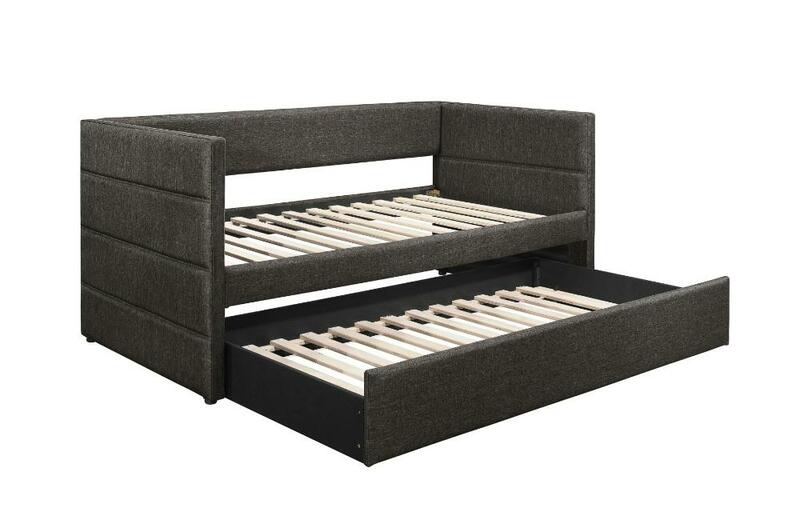 A twin size under-bed trundle pulls out to accommodate your additional sleep space needs. FEATURES: Dark Grey Finish ~ Transitional / Contemporary Style ~ Clean Lines Stitching Accents ~ 100% Polyester Cover ~ Trundle Unit Included.